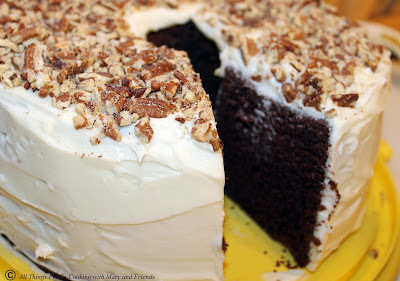 Oh my goodness, you owe it to yourself to bake this cake! 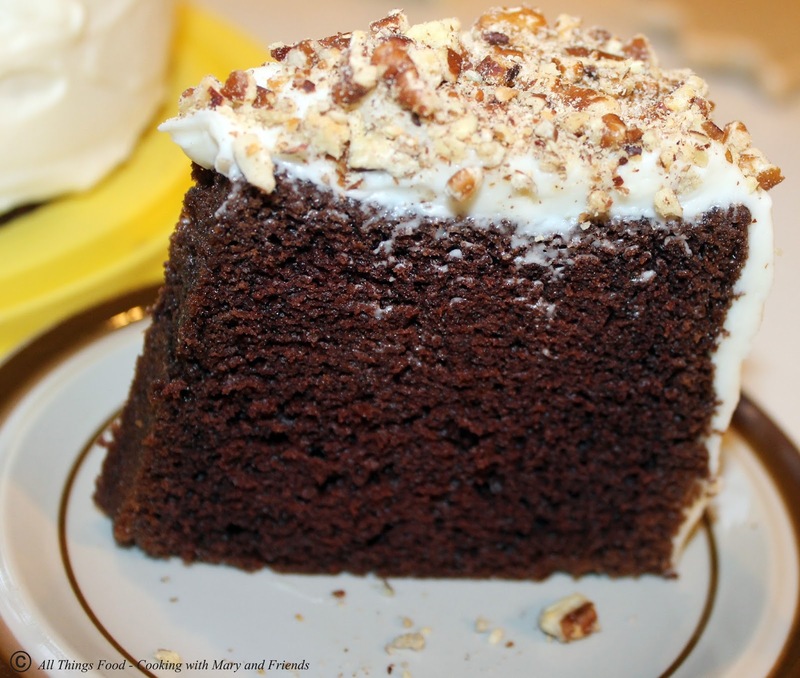 When my friend, Kris, from Big Rigs 'n Lil' Cookies shared her Gram's Devil's Food Chiffon Cake I KNEW I was going to make one. To say this is a "showcase" cake is an understatement. 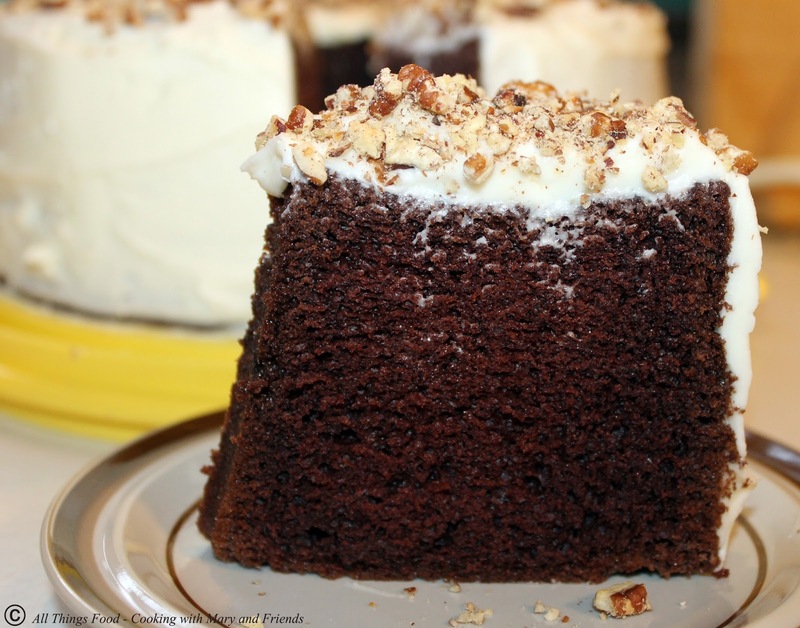 Delicious, light and moist, this cake is an all-around winner. Look this cake is GORGEOUS before it's even decorated! Preheat oven to 325 degrees. In a small bowl, combine boiling water and cocoa. Stir until smooth. Set aside. In a large bowl beat egg whites with cream of tartar until very stiff. Sift flour, sugar, baking soda, and salt in large mixing bowl. Make a well in the center, and add vegetable oil, egg yolks, cooled cocoa mixture, and vanilla. Beat until well combined. Fold in egg whites until completely incorporated. Pour into 10" tube pan sprayed with baking spray or lightly greased. Bake at 325 degrees for 55 minutes. 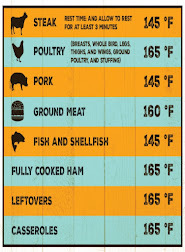 Increase oven temperature to 350 degrees and bake 10 to 15 minutes longer, until cake springs back when touched. 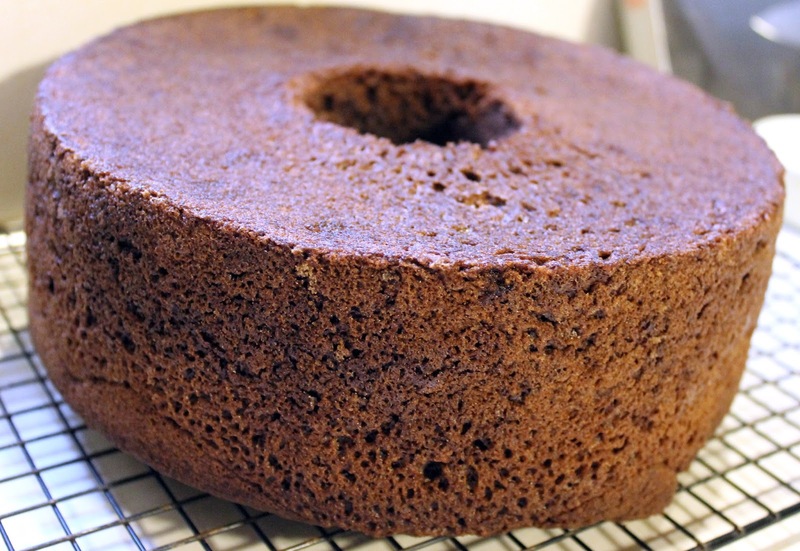 Let cake cool in pan 10 minutes then carefully invert onto a cooling rack and cool completely. Beat cream cheese and butter until well blended. Add confectioner's sugar, cream or milk and vanilla. Beat until smooth, creamy and spreading consistency. 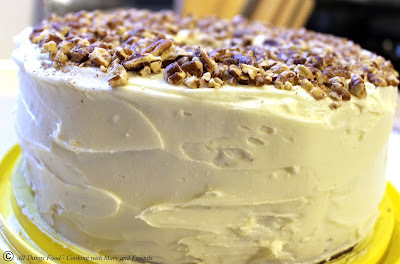 Frost cake and top with toasted pecans, if desired.